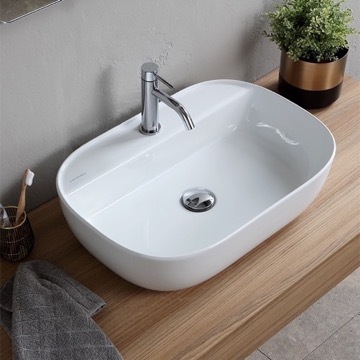 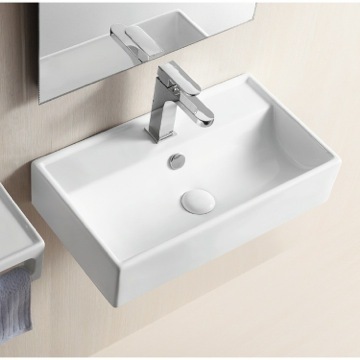 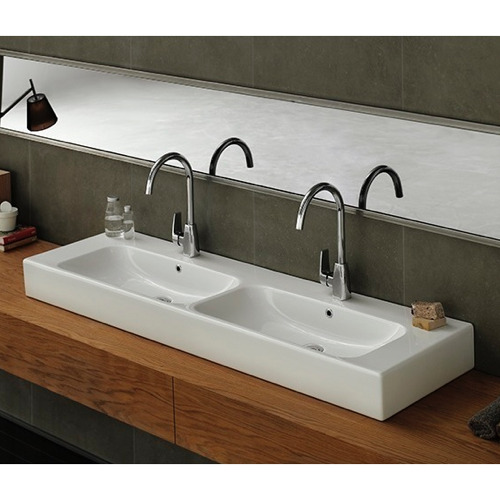 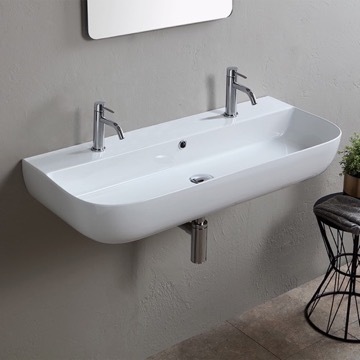 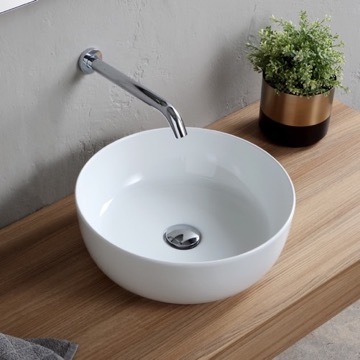 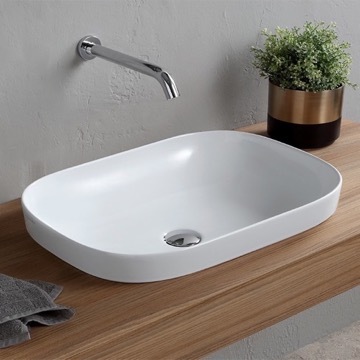 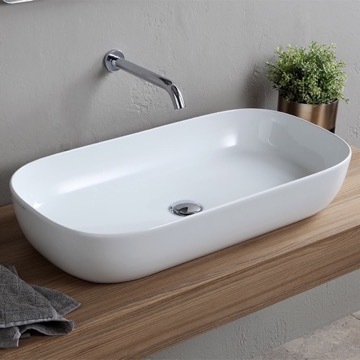 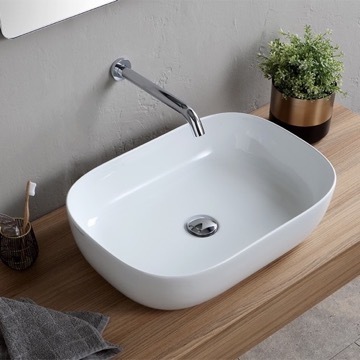 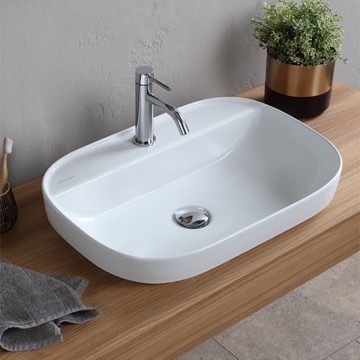 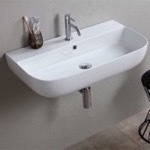 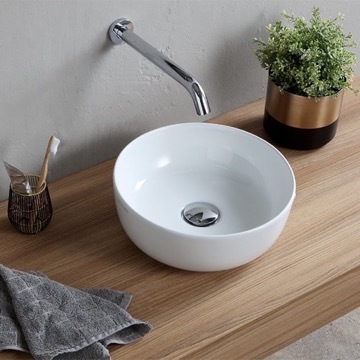 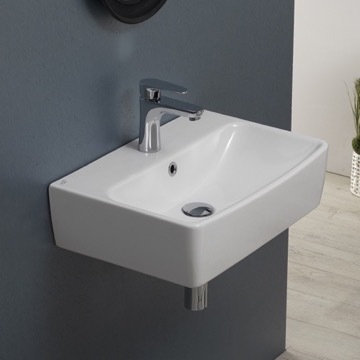 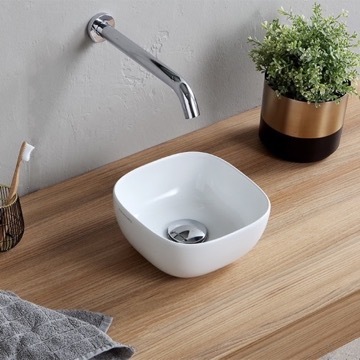 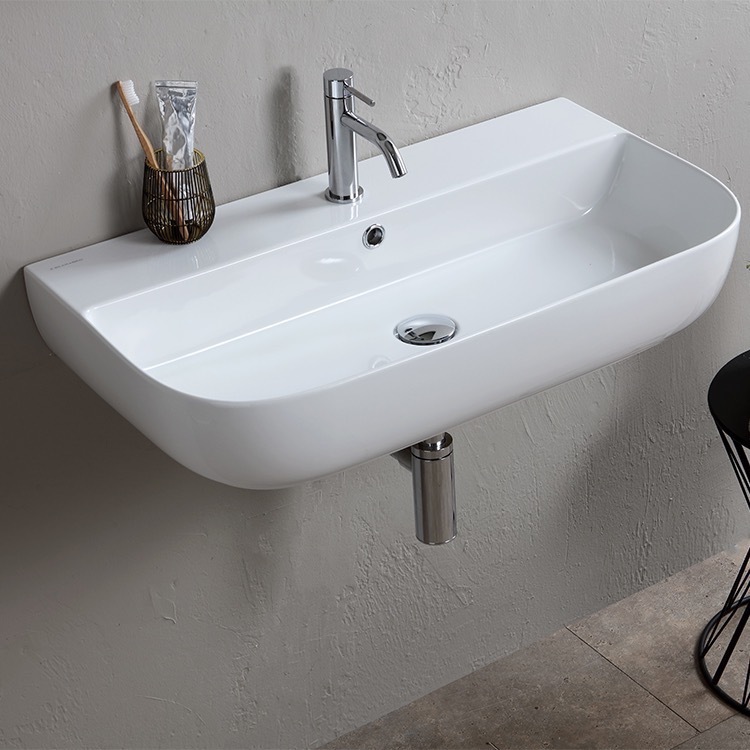 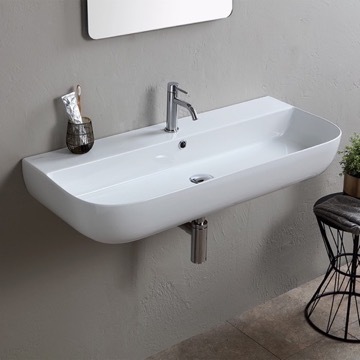 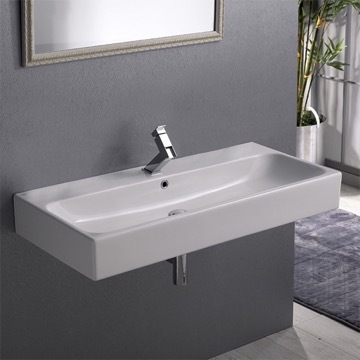 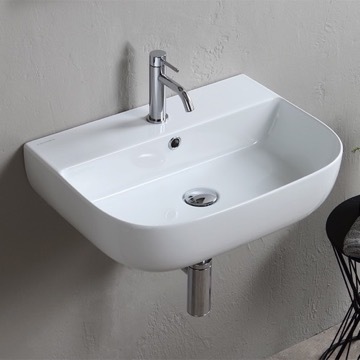 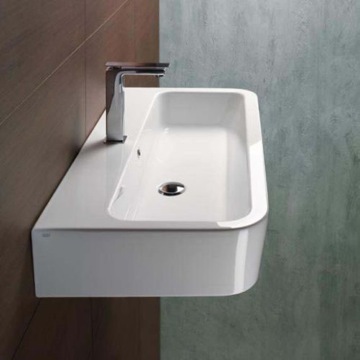 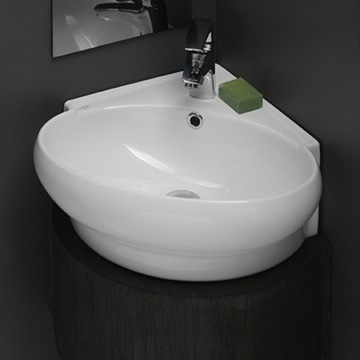 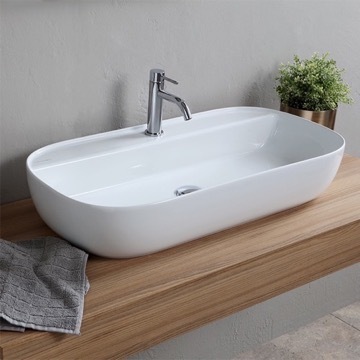 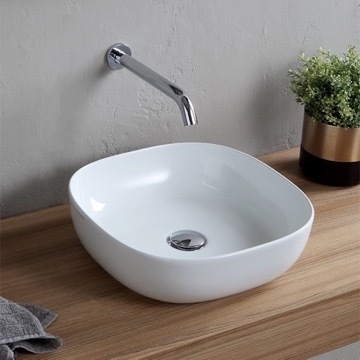 Perfect for the modern or contemporary bathroom atmosphere, this 30 inch bathroom sink is made from built-to-last white ceramic with an ultra thin edge. 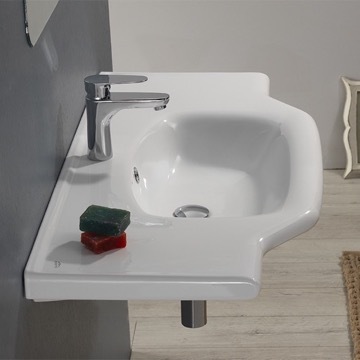 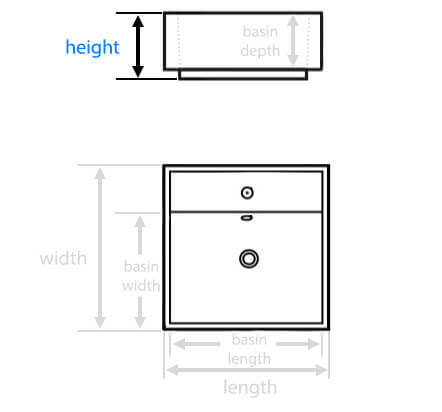 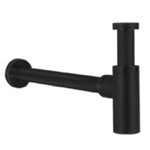 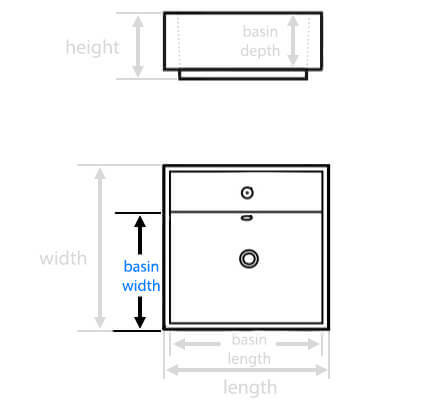 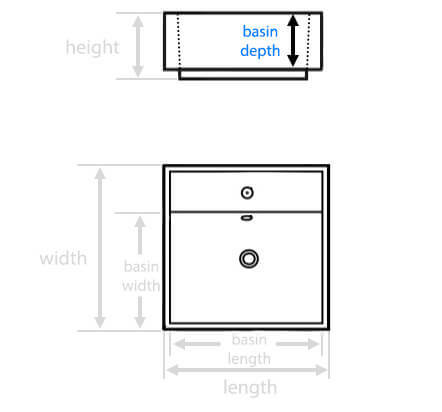 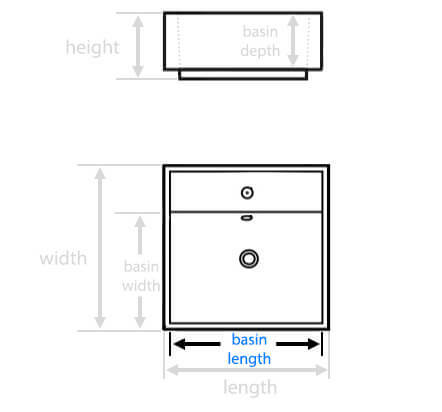 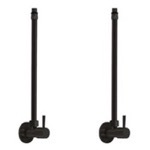 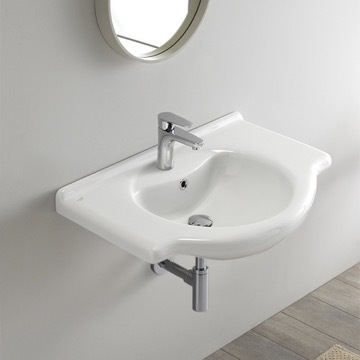 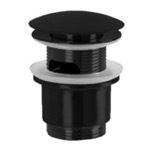 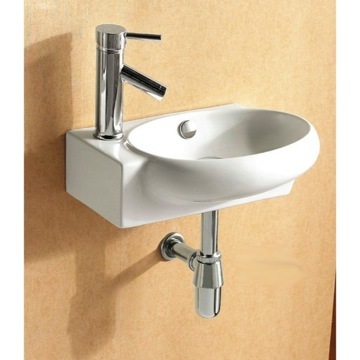 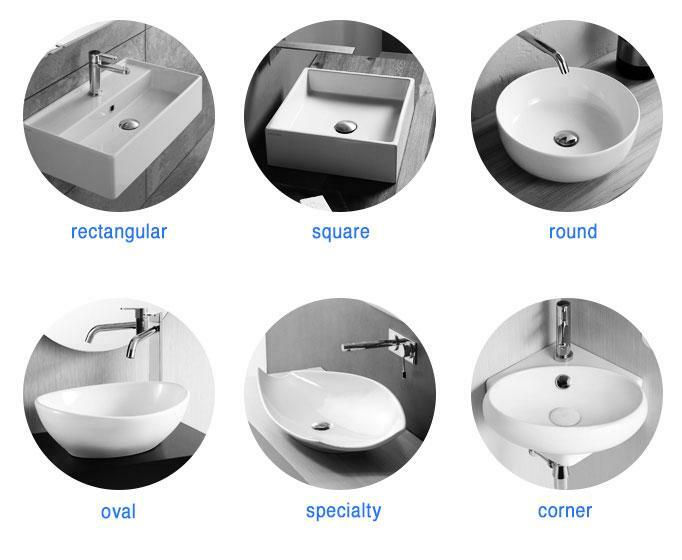 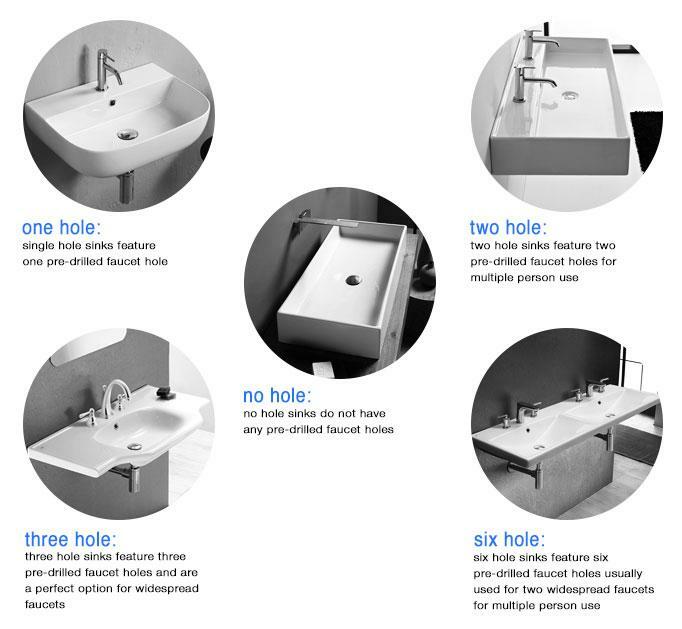 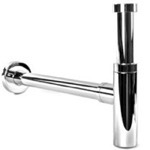 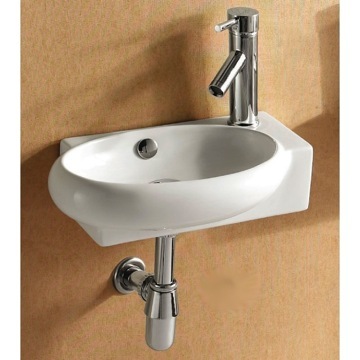 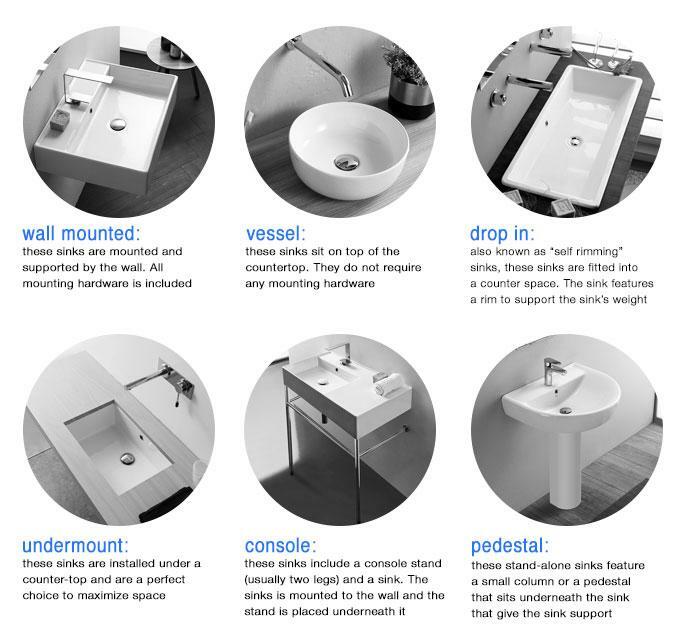 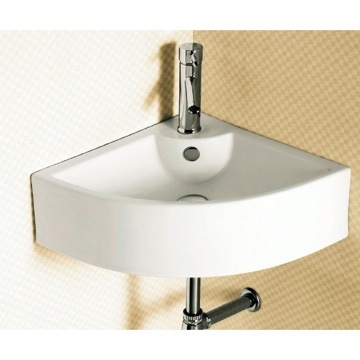 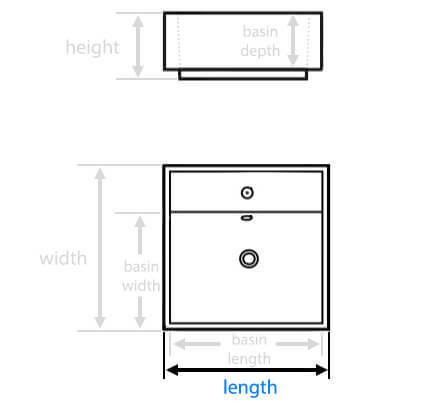 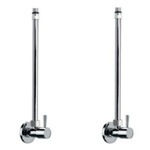 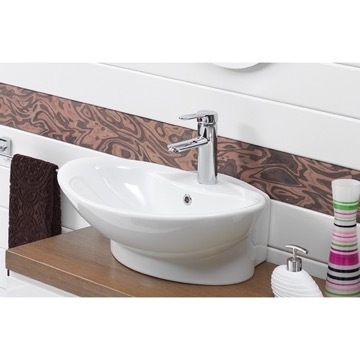 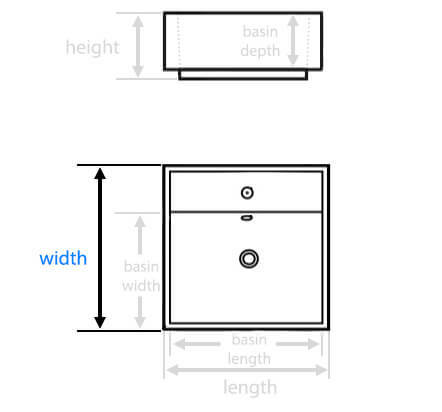 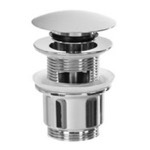 This sink can be used as a wall mounted sink or a vessel sink and features one faucet hole. 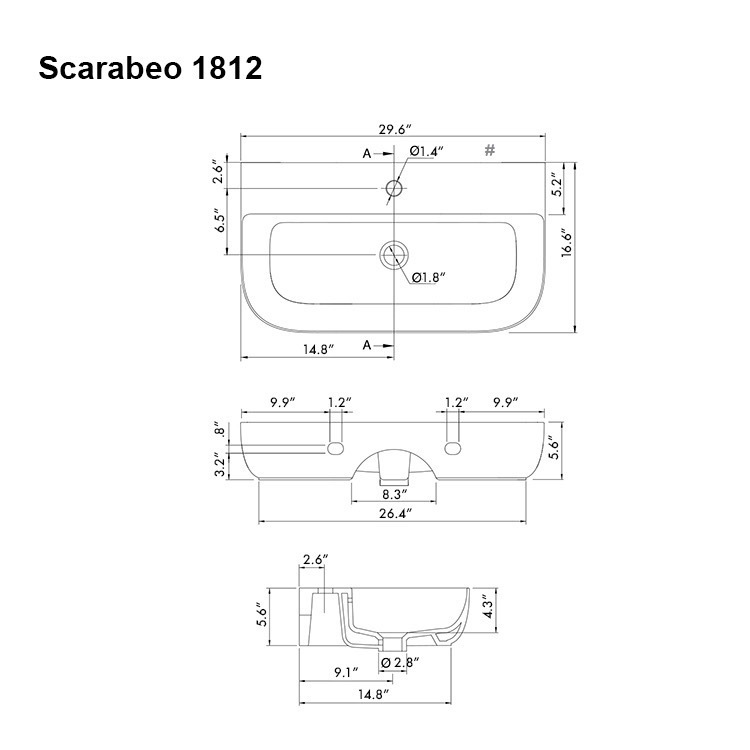 Made in Italy by Scarabeo and part of the Glam collection.